Sinori Percussion® is the result of a study on metallic materials used in the field of music to produce sounds, as well as the application of the most important theories in industrial design. The project has been developed thanks to a designer’s intuition and a strong collaboration with a large group of musicians who inspired and guided the final design. 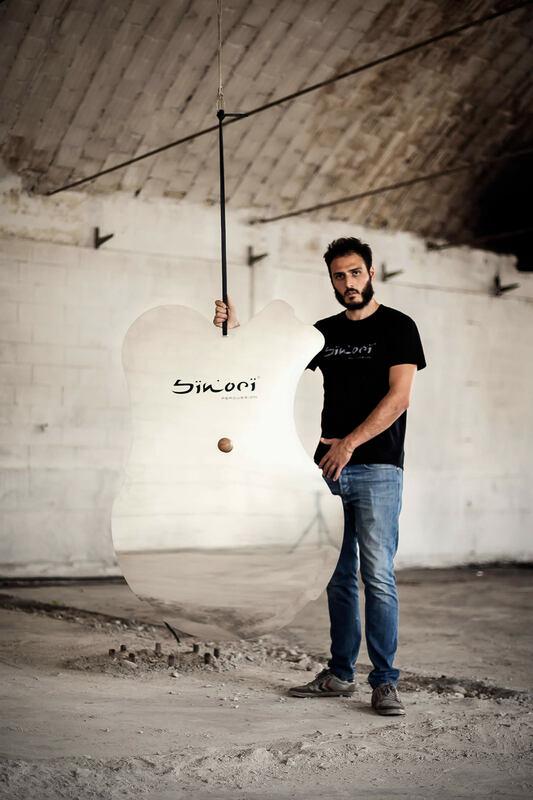 Sinori Percussion® is a registered trademark by the Filippo Sironi Designer company. The company develops products and components for music as well as architecture and design. Filippo’s experience in design for music arises out of his love in practising it. Indeed he has been studying drums for years. In 2008 he got a Master Degree in Industrial Design from the Politecnico di Milano. Over the last 10 years he has decided to mix his industrial design skills and knowledge of art and architecture with music in order to produce products for music.